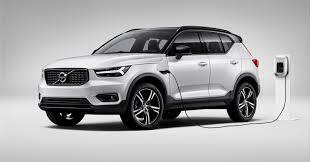 Commenting on the investment Zaki Fasihuddin, CEO of the Volvo Cars Tech Fund said that the future of Volvo Cars is electric and this is reflected in the company’s industry-leading commitment to electrify its entire product range. In order to promote more widespread use of electric cars, infrastructure needs to be available to make recharging electric cars as easy as filling up conventional cars with petrol. This is what prompted Volvo to invest in FreeWire. Atif Rafiq, chief digital officer at Volvo Cars, added that Freewire’s fast charging technology provides immense scope to make the use of electrified Volvos simpler. He expressed his hope that with this move, the future of sustainable, electric cars will become more practical and convenient. According to FreeWire, it specializes in “both stationary and mobile fast charging technology, allowing electric car charging to be deployed quickly and widely.” The company uses movable battery packs with charging systems. When compared to traditional fixed fast-charging stations which require a lot of investment and labor as well as electrical upgrades, FreeWire’s charging stations use low-voltage power, and operators can use existing power outlets. Thus, motorists can enjoy all the benefits of fast charging without operators having to go through the hassle of establishing a high-voltage connection to the grid.